Gen. J.R. “Jack” Dailey, the John and Adrienne Mars Director of the Smithsonian’s National Air and Space Museum, will retire in January 2018. With 18 years as head of the museum, he is its longest-serving director. Dailey, a retired U.S. Marine Corps four-star general and pilot, assumed the duties of director in January 2000. As head of the museum, Dailey has led efforts to expand its size and scope, maintaining its status among the most visited museums in the world. 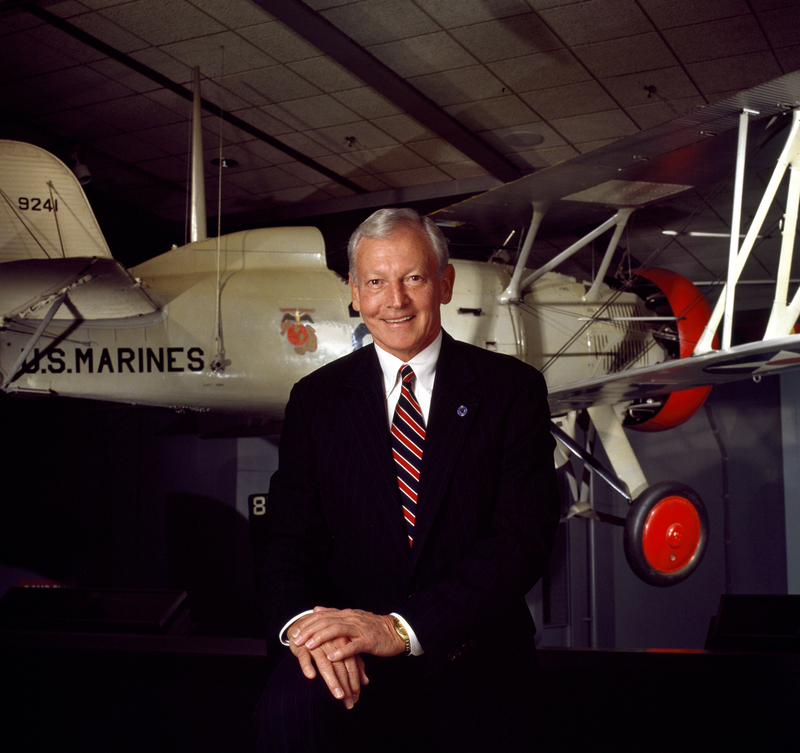 Under his leadership, the museum opened its second location, the Steven F. Udvar-Hazy Center, in 2003. Located in Chantilly, Va., the Udvar-Hazy Center houses over 300 aircraft and spacecraft in its two public display hangars and includes the Mary Baker Engen Restoration Hangar, the Emil Buehler Conservation Laboratory and collections storage space. The opening of the Udvar-Hazy Center allowed for much more of the collection to be displayed, including icons like the Enola Gay, Lockheed SR-71 Blackbird and a Concorde. The Smithsonian has formed a committee to conduct a search for the museum’s next director. Under Secretary for Museums and Research/Provost John Davis will oversee the process. The National Air and Space Museum building on the National Mall in Washington, D.C., is located at Sixth Street and Independence Avenue S.W. The museum’s Steven F. Udvar-Hazy Center is located in Chantilly, Va., near Washington Dulles International Airport. Attendance at both buildings combined was 9.1 million in 2016, making it the most visited museum in the world. The museum’s research, collections, exhibitions and programs focus on aeronautical history, space history and planetary studies. Both buildings are open from 10 a.m. until 5:30 p.m. every day (closed Dec. 25). Director of the National Air and Space Museum Gen. John R. "Jack" Dailey shows a youngster the inner workings of a jet fighter at the Annual Become a Pilot and Aviation Display Family Day. National Air and Space Museum director, Gen. J.R. "Jack" Dailey, was the GE Aviation Lecturer on October 11, 2012. General J.R. "Jack" Dailey (left) and Senator John Herschel Glenn, Jr. Representatives of the Smithsonian, the Commonwealth of Virginia, and the Udvar-Hazy family turn the first shovels-full of red Virginia soil from which the Steven F. Udvar-Hazy Center will rise. Space shuttle Discovery, mounted atop a NASA 747 Shuttle Carrier Aircraft (SCA), makes a low pass over crowds at the Udvar-Hazy Center in Chantilly, VA.
Space Shuttles Enterprise, left, and Discovery meet nose-to-nose at the beginning of a welcome ceremony at the Smithsonian National Air and Space Museum's Steven F. Udvar-Hazy Center, Thursday, April 19, 2012, in Chantilly, Va.
Celebration of the Tenth Anniversary of the opening of the Smithsonian National Air and Space Museum's Steven F. Udvar-Hazy Center, November 21, 2013. Museum Director Gen. John R. "Jack" Dailey speaks to guests in the Boeing Aviation Hangar. General J.R. Dailey, John and Adrienne Mars Director of the National Air and Space Musuem, addresses the crowd at a ceremony celebrating the Museum's 40th anniversary.